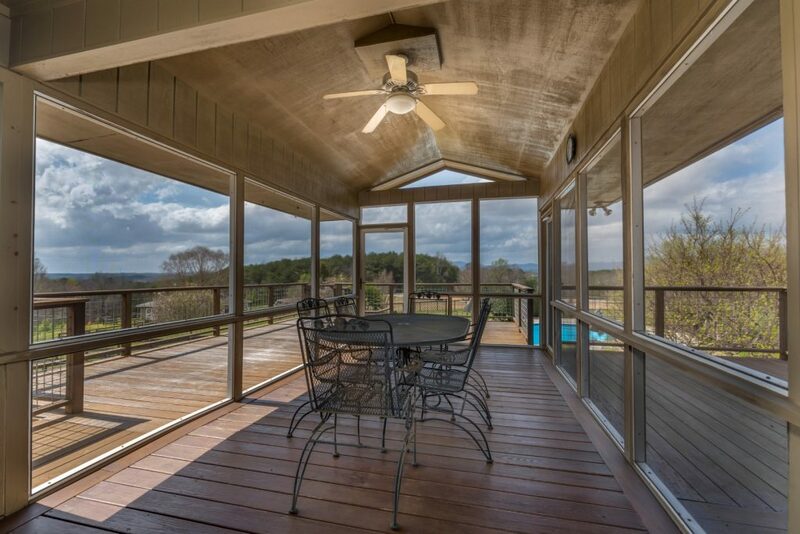 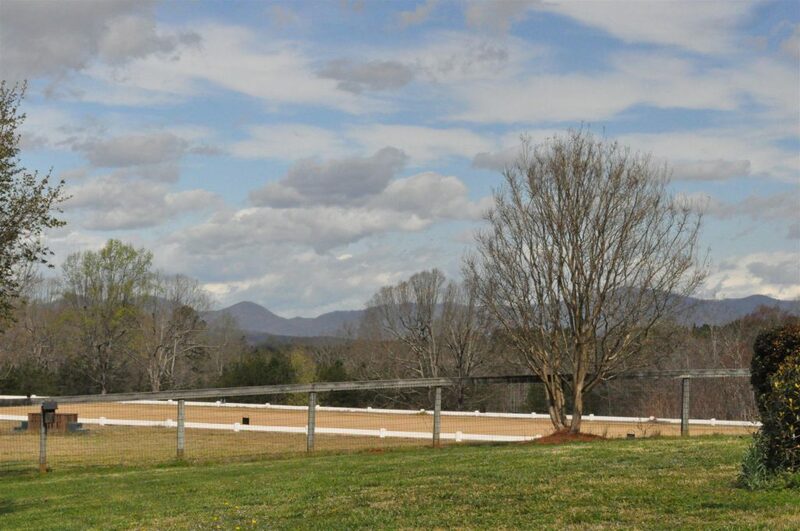 Complete full service horse farm, featuring fabulous views of the Blue Ridge Mountains, fenced rolling pastures, center isle, six stall barn, regulation dressage ring and enticing, in ground pool, all viewed from the deck of the well appointed, contemporary ranch style home. 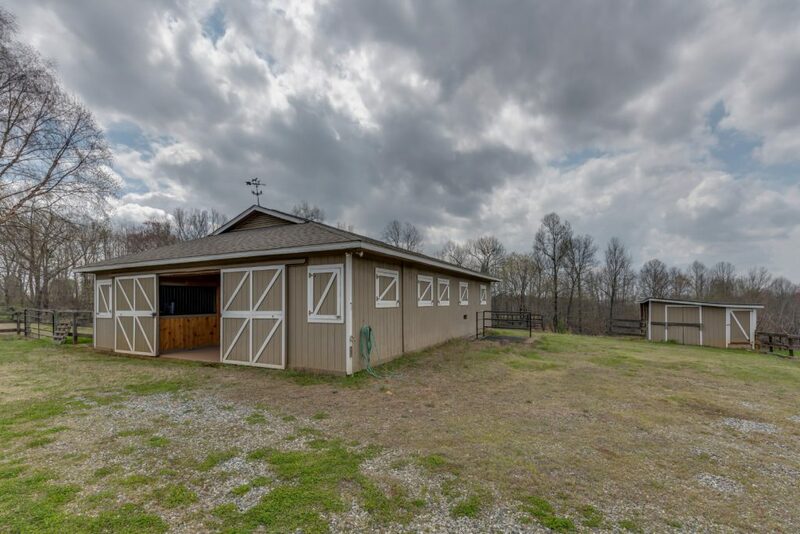 Equestrian features also include multiple fenced pastures with run in sheds, as well as an additional storage building, with the barn also including a wash rack and tack room with half bath. 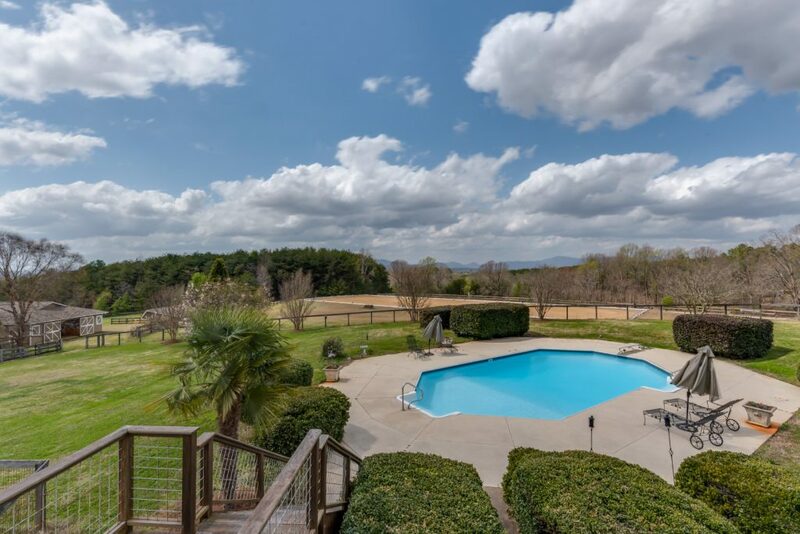 This lovely home is appointed with many exceptional features, and lends itself well to those who wish to entertain or have family and guests. 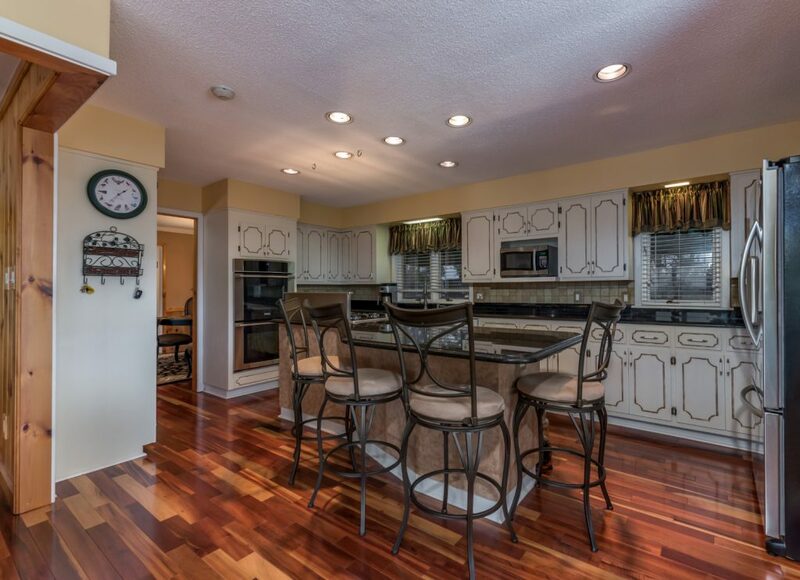 Entering the home you are greeted with a marble floored formal entry hall, just a beginning to the touches of class throughout. 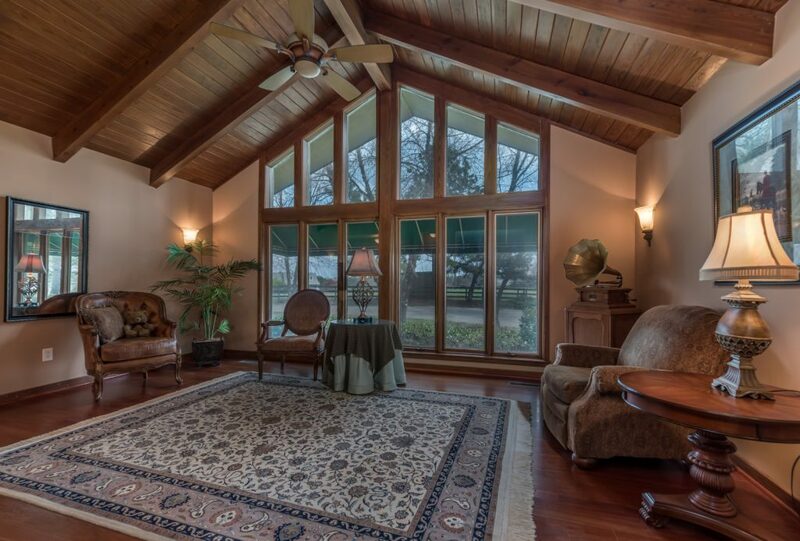 Gourmet kitchen opens to a cozy breakfast nook with one of 4 stone faced masonry fireplaces that grace the home. 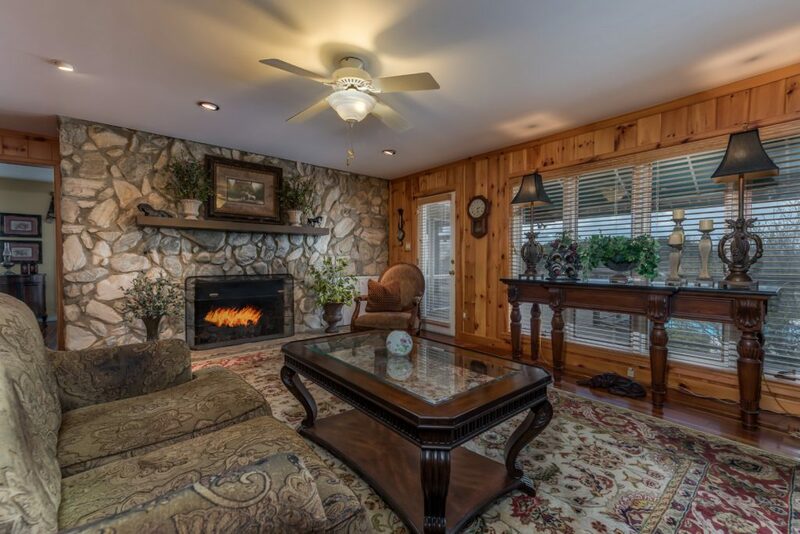 There is no loss for living area as the home offers a formal living room with vaulted, tongue and groove ceiling, family room and den, with three of the bedrooms on the main level including the master with it's own fireplace, sitting room and private porch that includes a hot tub. 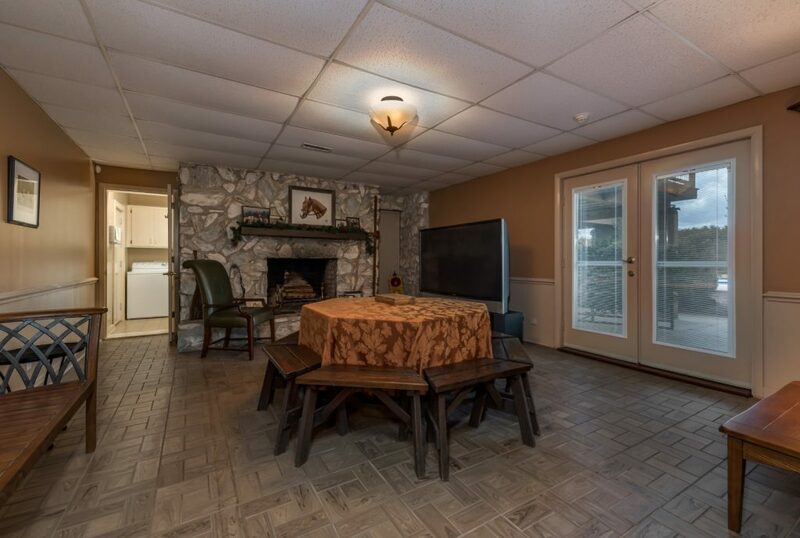 Lower level could easily be used as a second living quarters with a family room, kitchenette, bedroom and full bath. 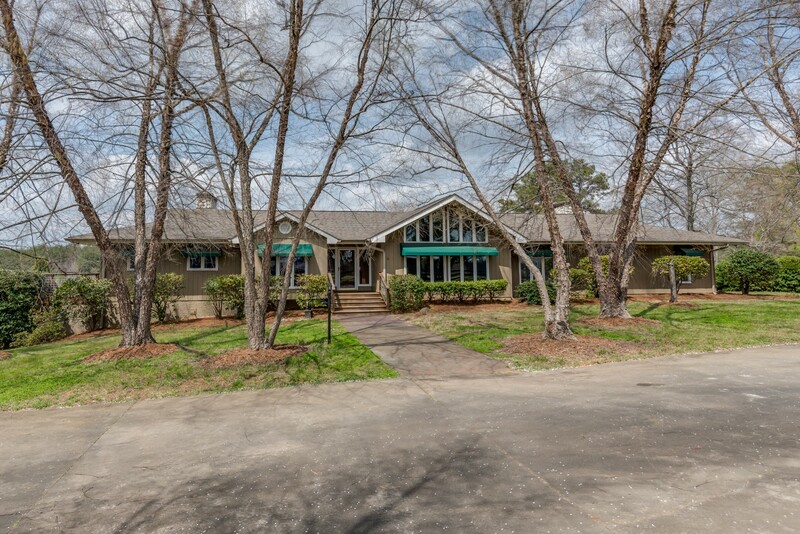 Very convenient to the interstate as well as TIEC, FENCE & the FETA Trails.